SAT and GRE test are aptitude and skills assessment tests. The tests can be sat in authorized centers in various countries around the world; they are held in English. You must enroll for the tests on the websites of the organisations managing the tests. 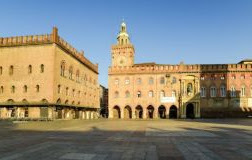 The codes needed to send test scores to the University of Bologna are: for SAT 6993; for GRE 7850. UK University of Sheffield Computer Science Excellence Scholarships 2018 ... The University of Sheffield is a public research university in Sheffield, South Yorkshire, England. The University of Sheffield Southern Africa Student Scholarship Fund (SUSASSF). In partnership with ... Apply here. The deadline to apply is 5pm (UK time) on Friday 4 May 2018.